We consider sales order related all setup are there. 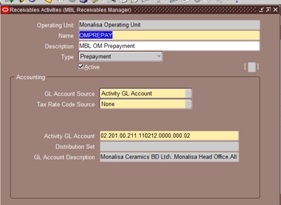 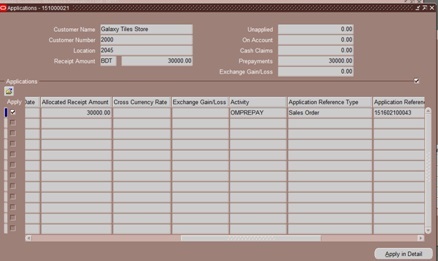 Step2: Need to create a Sales Order then click on Action and choose Prepayment, a new window will appear. 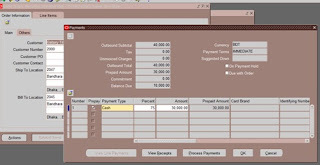 Provide required information then click on process payment. 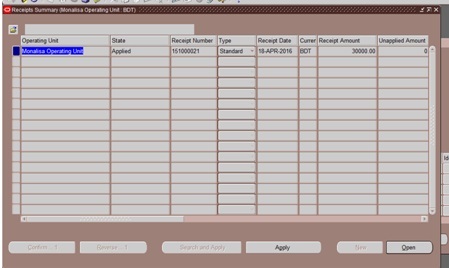 Step3: Now Do the shipment of Sales Order as normal. Step4: Run AutoInvoice a Prepayment matching program will automatically run and Receipt will automatically Apply with Invoice.